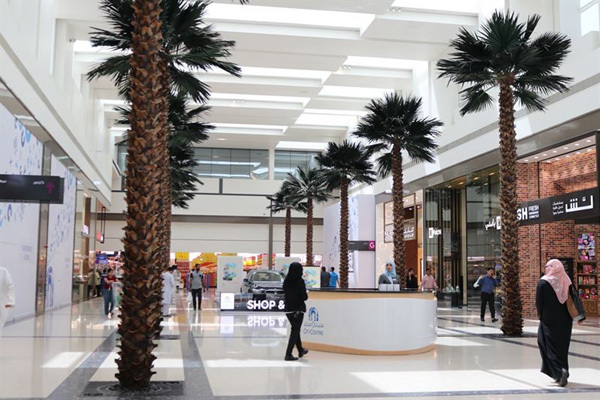 Majid Al Futtaim, the leading shopping mall, communities, retail and leisure pioneer in the region, has added 18 new international stores and restaurants at City Centre Ajman as part of its Dh643 million ($175 million) enhancement project. City Centre Ajman is undergoing a major transformation that will upgrade the mall from a community-centred venue to an all-around shopping, dining and leisure destination with far-reaching appeal by 2019. As part of its efforts to address the changing demands of its loyal customers, City Centre Ajman has brought new stores and restaurants, such as Gazebo, Jacky’s and Pure Gold to the mall. Several outlets that closed temporarily during the mall’s redevelopment are up and running once more, including Sun & Sand Sports and Aldo. The mall has also enhanced accessibility for customers by increasing the parking capacity to 2,100 bays and added a new entrance along with 100 additional parking bays near its anchor stores – Carrefour and Centrepoint. “City Centre Ajman’s new entrance offers easy access to Carrefour and Centrepoint, reducing the walk for our regular customers who shop for wardrobe staples and groceries at our mall,” said Mohammed Al Rais, senior mall manager, Northern Emirates malls. Fashion brands making their Ajman debut include Parfois, Garage and beauty store Kiko. For the first time, Indian restaurant Gazebo will be available at the mall while casual favourites Döner & Gyros, and Jollibee will increase the fast food mix. Customers favourites, Sun & Sand Sports, Aldo, children’s clothing specialists Carter’s, Mothercare and Okaïdi, modest fashion boutique Anotah, beauty store Areej, jewellers Pure Gold and Damas and Du, the telecommunications company, has also reopened. Shops set to open later this summer include Modern Pharmacy, candy store Jelly Belly, beauty brand The Body Shop, and fashion retailer Giordano, which stocks smart and relaxed casual clothing and accessories for men, women and children.